When one of our brand partners creates something as stunning as this, we have to share! Take a look at a behind-the-scenes video for the IGIGI by Yuliya Raquel spring campaign. Glamorous is an understatement. The current face of IGIGI, plus-size model Kailee O’Sullivan looks beautiful and confident as she poses and model the most recent IGIGI spring collection. Remember that as a Shop My Label Shopkeeper you’ll have access to all of these fabulous fashions along with our other 1000+ brands. Request your invite here. 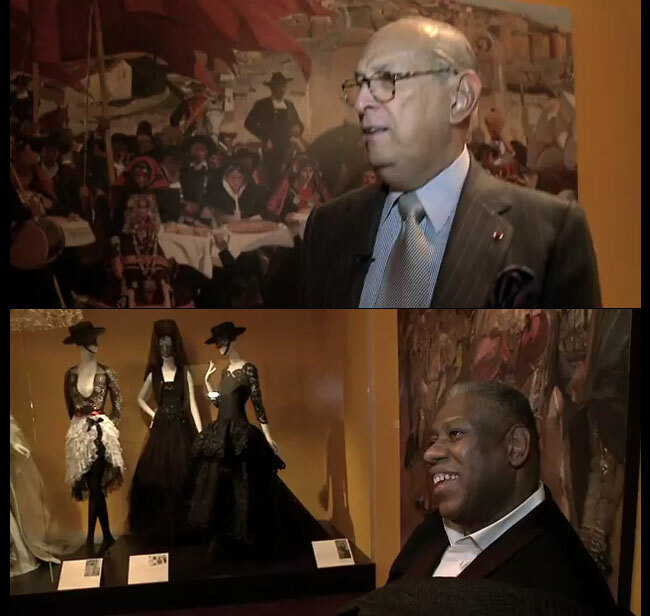 This is a brilliant collaboration between Andre Leon Talley and fashion icon Oscar de la Renta. The pair collaborated on an exhibit featuring clothing worn by the subjects of paintings by artist Joaquin Sorolla. Oscar and Andre take us on a personal tour of the exhibit in New York City at the Queen Sofia Spanish Institute. You’ll find gowns weighing way over 100 pounds and contemporary clothing showcasing the Spanish influence on fashion. The exhibit titled JOAQUÍN SOROLLA AND THE GLORY OF SPANISH DRESS is still running, so if you’re in NYC head over–it’s one not to miss! Visit http://spanishinstitute.org for more info on museum hours and rates. High-end fashion houses are slowly, but surely embracing the fact that social media is one of the best ways to directly connect with their fans. MOSCHINO has now joined the ranks of Christian Dior, CHANEL, and others by starting a full on social media campaign titled “Pic Me by MOSCHINO”. MOSCHINO fans will have the opportunity to personalize pictures with a choice of distinctive MOSCHINO picture frames, which will be updated constantly by the fashion house’s creative team. Pictures can then be shared with friends and social media contacts. Once you create your “Pic Me” photo, you can add another personal touch by commenting on your photo through ‘Post It’ style graphics. 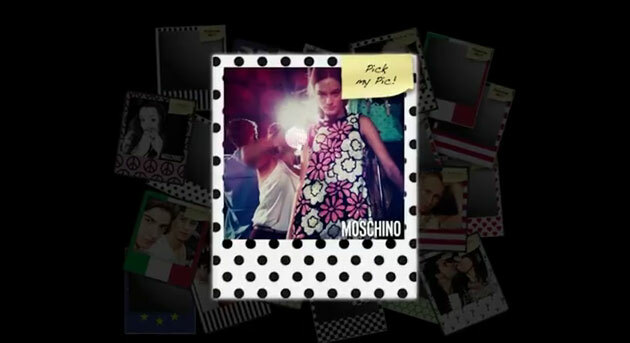 Visit “Pic Me” here: http://bit.ly/moschino-community. The beautiful French export, Marion Cotillard, is the face of Lady Dior’s ad campaign this season. The campaign was shot by renowned fashion photographer, Steven Klein, in a Los Angeles residence designed by architect John Lautner. For the fall 2012 campaign featuring their ultra-feminine handbags, Dior went all out. Hired a stunning actress, created a dazzling print ad campaign, and produced a fabulous film directed by Cameron Mitchell featuring the Marion Cotillard–“L.A.dy Dior”. In “L.A.dy Dior”, Cotillard is the tortured muse of a brigade of stylists, make-up artists, photographers, and agents, all drafted to produce a photoshoot for the iconic Lady Dior Bag. The delicate, ladylike tote finds personification in Cotillard, until the icon is pushed to the edge. A|X Armani Exchange goes behind the scenes with Supermodel Alessandra Ambrosio as she talks about her long relationship with Armani Exchange and A|X:VIDEOMIX. Love wearing A|X Armani Exchange or do your friends? Remember that as a Shop My Label Shopkeeper you’ll get to fill your shop with the fabulous fashions by brands like A|X Armani Exchange, sell them, and earn $$$! Make sure to sign up for an invite— http://www.shopmylabel.com.